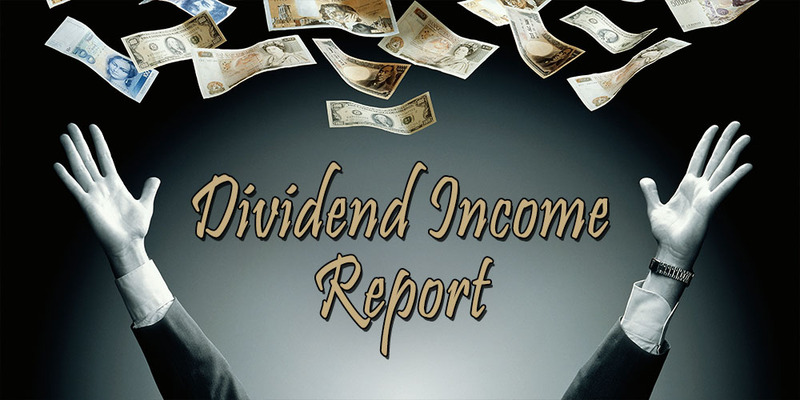 Oh boy, have I got a treat for you guys – a double dividend income update! Well, that’s not really a treat when considering you have all been waiting for over a month for October’s numbers. Even though I haven’t been active much in our financial independence community, my passive income in an antithetical way has been. Fresh and free-of-work cash has consistently hit my brokerage accounts like in the past. And there’s been a ton of it. As most of you know I broke through my initial goal for 2015 by the end of September already, a truly remarkable achievement considering I hardly earned any dividend income last year. I’ve often said it comes down to saving a big chunck of your paycheck, investing those savings tirelessly, and keeping at it – turns out, it’s true! Of course, you’ll need a pinch of luck too. Just look at what the stock market did to my portfolio over the past few months. After a long downturn stocks across the board shot up, netting me a massive 7+% net worth growth in November. While total portfolio value isn’t all that important for a dividend growth investor, such an increase provides a nice mental boost. In this update I once again want to give you guys a clear overview of how a financial independence journey through dividend growth investing materialises over time. By being as transparant about my numbers as possible I hope to motivate you all to go after financial freedom too. Let’s take a look at October’s and November’s numbers, shall we? October and November are usually slower months for my portfolio, because only the third month of every quarter contains most of my regular paying dividend stocks. That’s why I was pleased to see October finish at almost €44 and November at nearly €65 – both numbers are over the monthly average I had set for myself this year. Most of October’s income came from my recently increased position in French oil tycoon Total (EPA:FP), which performs remarkably well considering the negative sentiment surrounding anything energy at the moment. While Total can’t control the price of oil, it’s business structure as an integrated oil company provides at least some sort of cushion against the bloody oil markets. As usual, November turned out to be heavy on telecom again with AT&T (NYSE:T) and Verizon (NYSE:VZ), the two largest operators States-side. On top of that my brand-new investment in Caterpillar Inc (NYSE:CAT) literally paid its first dividends, with Anheuser-Busch Inbev (EBR:ABI or NYSE:BUD) rounding out the month nicely because of its dividend that was 66% higher than last year – how’s that for dividend growth? All in all, I’m a happy camper. These numbers are way higher than I could have imagined in even my wildest dreams. It’s awesome to see you can cover your monthly heating and electricity bill with money that others worked hard for to get to you. What I take away from these short-term successes is that dividend growth investing and financial independence in the long run are viable strategies. Yes, I’ll have a setback here and there, but overall I’m moving in a desirable direction; a direction in which I’m not dependent on a salaried income alone anymore. I already touched upon brewer AB Inbev’s incredible year-over year growth rate, but let’s see how my overall performance fared these past two months compared to 2014. Boom! I’ve obviously crushed last year’s numbers. With a level of income that’s 1600% higher for October and almost 400% higher for November even that’s an understatement in my book. My dividend income isn’t just taking off, it’s taking off at the speed of light – now where’s that faster-than-light drive? As a result, my average income number for 2015 increased too. Over the past eleven months I pulled in about €58 on average for the entire year, so that’s number set to increase even further due to December’s heavy hitters Royal Dutch Shell (AMS:RDSB) and Unilever (LON:ULVR). And the best part? That number will continue to grow all on its own even if I decide not to do anything anymore. It’s the often misunderstood secret ingredient of the dividend growth investing double dip at work and by far the most potent aspect of a dividend strategy. Nevertheless, let’s not get ahead of ourselves here. While dividend growth investing is a very powerful strategy indeed, it still holds a bunch of risk and uncertainties, no matter how much planning and hedging you do. That’s why I’m glad I can always fall back on my good money habits. Even if one aspect of your grand strategy doesn’t work out the way you initially conceived it, you won’t drown in a world of sorrow. At the moment though, No More Waffles land is sunny and rosy like you wouldn’t believe. I’ve accumulated almost €700 in passive income for 2015 even though I just started. Had you shown me these numbers one year ago I would not only have asked you where I could put my name down, but also offered you a bus ride to the nearest loony bin. As it turns out I underestimated the power of compounding interest. I hope you guys did too and that you’re all well on your way to crush your 2015 goals! With just one month to go we’ll know soon enough if we should continue our track record into 2016 or up the ante. Thank you for reading and for your support. Great job NMW! It’s pretty amazing how quickly those dividend checks can pile up. We’re on track to pull in around $6k this year which I find truly remarkable. It’s a shame those withholding taxes are taking such a big bite out of your dividends each payment. Best of luck finishing up the year strong! Wow, $6,000! Can’t wait to get up to your level. Congrats on achieving such a massive income stream already. The dividend tax is painful indeed, especially since it’ll increase from 25 to 27% next year. It’s getting to the point that I would consider changing my strategy to almost tax-free index investing. However, even with the high taxes I’m still making rapid progress – way faster than anything I would have thought possible. Nice to see an update from your side. Thanks for sharing all the details with us. Personally, I have been struggling a bit between my conscience and my feelings as a dividend investor; it is so tempting to focus on dividend coming in regularly (short term gratification? ), however if fundamentals of companies who pay just once a year are better, it would be more rational to invest in those. I actually don’t expect anything coming in between November and April; which is a loooooong time. Anyone having the same struggles? Or is this a small-Europe-only-investor problem? Indeed, the downside of European companies is that they often only pay once or twice a year, which plays on your short- and long-term gratification. However, a 3% dividend yield is a 3% yield, no matter when you receive the cash throughout the year. So I would urge you to invest in a company when you feel the time is right rather than to wait until the ex-dividend date is coming up. Of course, if you see a good quarterly paying stock, why not jump on that too? There’s more than just one road that leads to Rome! You are rocking!! , like I mention you in my recent post, you loaded your Deer gun, and now you are heading to the BB gun. I’m not sure what a deer gun is, but heck yeah! 🙂 Haha! Quite amazing how fast the numbers continue shooting up, even with mostly defensive stocks in my portfolio. Hope you’re doing good on your end as well. Best of luck in the new year! Well done. Keep up the good work. I love a good double-dose-dividend-download NMW! Amazing how your dividends from these months are absolutely dwarfing the numbers from last year – keep that up and you’ll have an absolute mountain of dividends – Scrooge McDuck style!! I wouldn’t mind turning into a real-life Scrooge McDuck! I always loved his character on DuckTales… In a couple of years we’ll both be rolling around in money just like him, I’m sure. Happy holidays and enjoy the festivities down under. 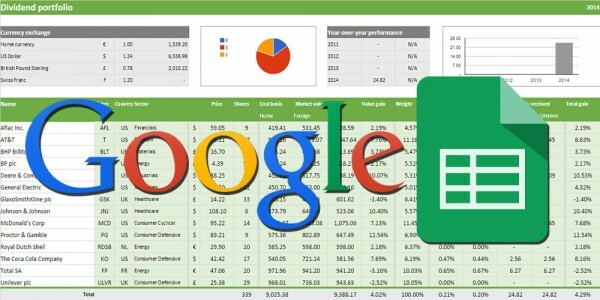 It is quite amazing to see how quickly you can let your dividend income grow in a year. Well done NMW, we certainly hope you can keep the trend going in the December and the through the coming new year. 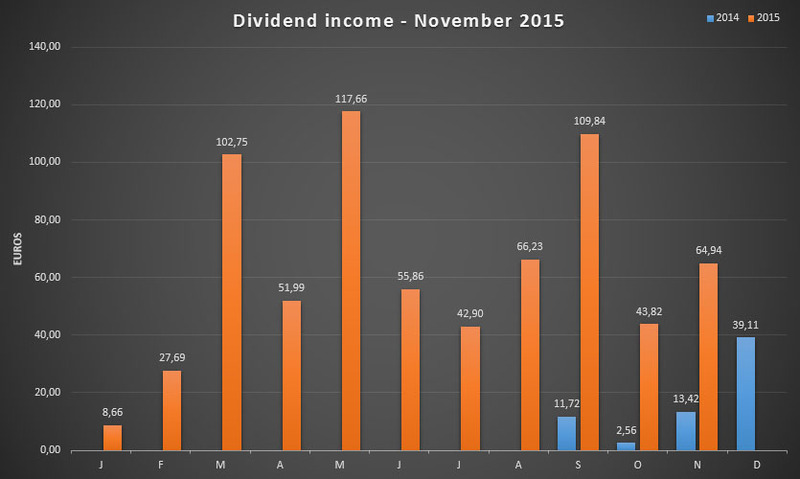 As for December, we have done a quick forecast and it looks to be a great month for dividends. December traditionally is a very good month for dividend growth investors since most quarterly paying companies pay in the last month of the quarter and because many European companies issue an interim dividend. Just like you, I had a huge December! Happy holidays and all the best for the new year to you guys. December certainly is a massive month in terms of dividends. Like I just explained to Team CF, many European stocks issue an interim dividend and most quarterly paying companies pay in the last month of the quarter. And of course, it doesn’t hurt that Shell also pays in December to the both of us, of course! I hope you guys have a lovely end of the year. Happy holidays and best of luck in 2016, especially with the upcoming little There’s Value. Thanks for your kind wishes. All the best for 2016, and not just in financial prosperity, but for prosperity in every area of your life! Nice progress, you’ll hit 100EUR/month before you know it! Hit the €100 mark three times already this year, with December strongly over that number too. Can’t be long now until I take in €100 every single month – such a great feeling. Seems like you had to great months. Keep up the good work. December will be a great month for me to. Looking forward to how good your December has been! Judging by the stocks I know that are in your portfolio it’s going to be absolutely massive. Well done. I love this site. It has thought be more about the market and dividend investing than any other. Its simple, informative and practical. Like you I am only beginning my journey to financial independence. i am 42 with two young kids. An expensive asset i might add but they’ll show a return on my investment in the future i hope. I have a question. My first investment was VW getting in at €101 when they were in the middle of the diesel crisis. Now they are 130. I know if I sold I would turn a nice profit on them and allow me to invest elsewhere. VW would not have been a Dividend investment if was just an opportunity. VW were always going to come back. Great Site. Whats the feeling on Shell? Invest or stay away? 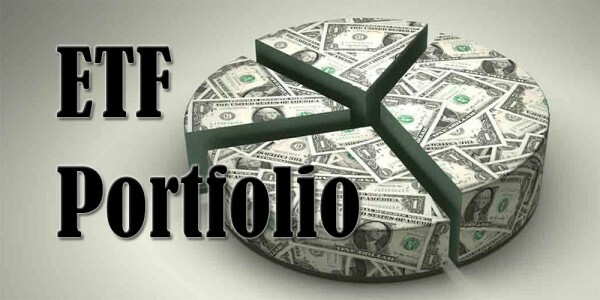 My advice is abandon your highly risky one-share strategy, sell VW and buy a diversified ETF, which you keep for a very long time, reinvesting dividends and adding shares whenever you can. I’m not sure Guggi owns just one stock, but if that’s the case he’d do well to quickly diversify his portfolio, either by purchasing a World ETF or buying a broad set of individual shares himself. I’m really not in a position to comment on Volkswagen since I haven’t researched the stock properly. Personally, I wouldn’t come close to owning VW, simply because I don’t like the business model and because of all the legal uncertainty they’re enveloped in at the moment. With regards to selling when you’ve made a profit. I know that many people sell a stake when they turn a profit to take secure the capital gains. However, as a dividend growth investor I don’t plan on selling when my shares go up, but rather to take advantage of an increase in future dividend income. Real estate is not on my radar because it’s too much of a hastle to do yourself. 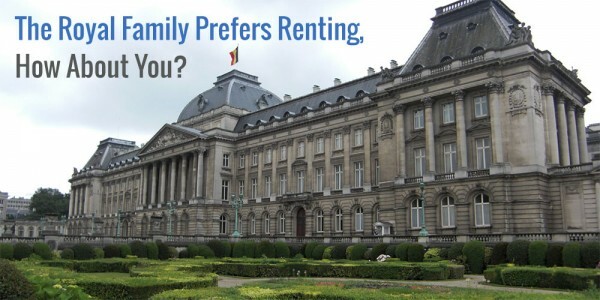 That’s why I’ve added the REIT Home Invest Belgium to my portfolio: it’s a well-diversified portfolio of residential properties that throws off a nice passive amount of cash every year. Maybe you could look into something like that too? Nice progress. All of those investments will pay you tremendous dividends in the coming years. Good job! Thanks, Robert! I’m doing the best I can! Great results for both months. Always nice to see quite a few names in common between our dividend payers. Look forward to seeing how 2015 wraps up for you. Keep up this great momentum. Exactly! I enjoy seeing companies I own pop up on your site simply because I feel you’re a very conservative investor that thinks his moves through. I hope you have a wonderful 2016! Nice article, but attributing the growth to compound interest seems a little moot. With a total of about at most €700 reinvested, I doubt much of your income came from that? I feel pretty sure you know this is the case, which is why it kinda bothered me. Have a great and prosperous 2016! You’re right, of course. I’ll make sure to stress that in future posts. Compound interest obviously is only a very small factor in my overall return since my savings potential is so much higher than my actual savings. However, I see dividend return as actual compound interest at work. So the €700 is the materialisation of the principle compound interest. Thank you for chiming in and for your kind words!